The article below was printed in the Business Daily North East on 9 March 2017. North East workplace interiors specialist company Ben Johnson Ltd, is close to completing the part-refurbishment of 70s-style office block – Vinovium House – in the centre of Bishop Auckland. The company, based in Newcastle and York, was appointed to transform three floors of the building into smart, contemporary offices for the growing team at regional charity, Auckland Castle Trust. The conversion, which began in December, is now very nearly complete, on time and on budget. Auckland Castle Trust’s headquarters will remain at Vinovium House, leased to the Trust by property management company Telereal Trillium, until all building work is completed in the charity’s ongoing £70m development project, which includes creation of a new Spanish Art Gallery and Faith Museum, both due to open in 2019. An initial challenge for Ben Johnson Interiors was a “fast track” refurbishment and fit-out to one floor of Vinovium House to allow staff to move immediately from Auckland Castle, where restoration works were already underway. This was all completed on schedule, offering staff an efficient transition while longer-term refurbishment was carried out on other floors. Now three months later, the formerly drab interior – empty for years – is almost unrecognisable in its new guise as a light, modern, practical suite of modern offices. It’s the perfect setting for Auckland Castle Trust, which is transforming Auckland Castle into a heritage, arts and faith destination of international significance, helping to reinvigorate Bishop Auckland and stimulate economic regeneration both in the town and surrounding areas. Vinovium House as an interim base was chosen not only because of its central location in the town, but also as an opportunity for Auckland Castle Trust to regenerate part of an old office block into useful and attractive commercial space. 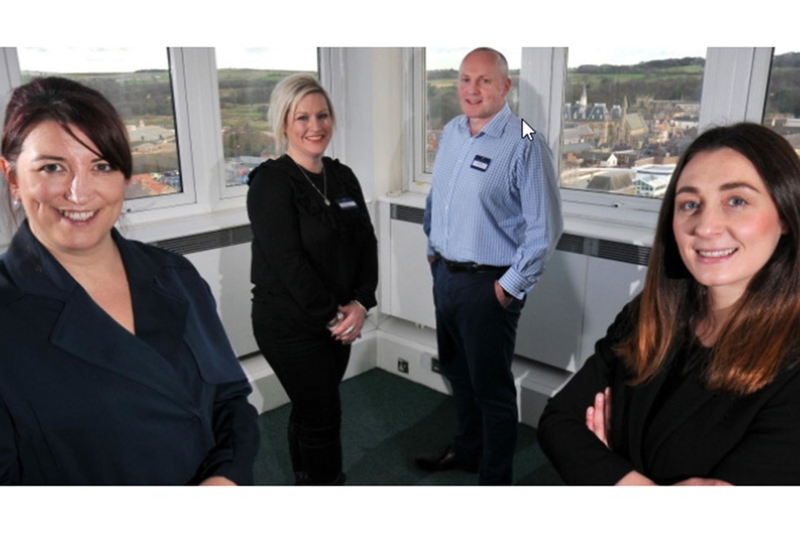 Additionally, Vinovium House enjoys beautiful, panoramic views over Bishop Auckland and the surrounding countryside – so provides an ideal setting for visitors and potential investors. Similar articles were also published by Insider Media NE and on the Auckland Castle website.